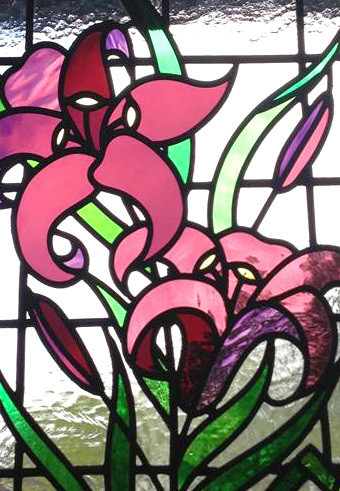 My name is Amanda Winfield and my passion is to create beautiful stained glass for your home, business or place of worship. 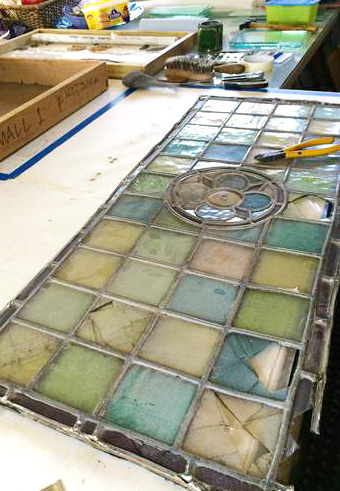 I combine innovative design with beautiful glass and fused glass techniques to create truly unique stained glass and leaded lights. I am practicing the traditional medieval stained glass traditions using tools little changed since that time and now I can encapsulate your stained glass to meet with latest building regulations. My workshop is based in Abinger Hammer in the beautiful AONB The Surrey Hills but I carry out work all over the country. I look forward to hearing from you. 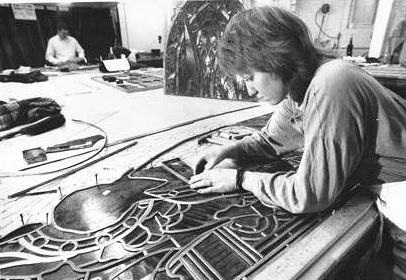 Here I am in 1987 working at Goddard and Gibbs Studios, London and restoring a stained glass window from Arundel Cathedral. This photo originally appeared in the Daily Telegraph. Please take a moment to browse through my extensive portfolio of stained glass and leaded lights. 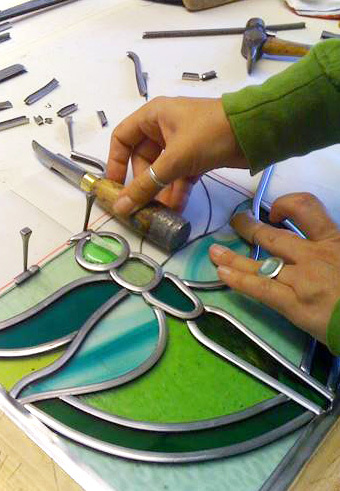 Fun and informative taster days and improvers courses in stained glass and fused glass in the beautiful Surrey Hills. 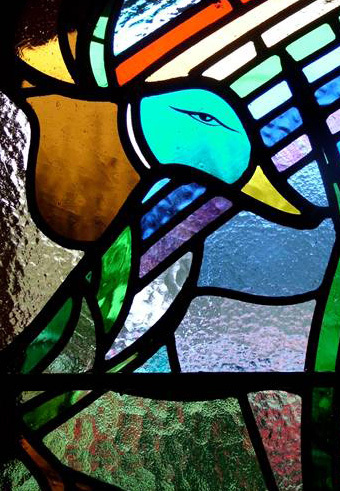 How to go about commissioning your own stained glass art work with a step by step guide of the process. I can repair and restore stained glass and leaded lights including painted repairs for church windows and domestic leaded lights.